In the UK, migraines are an extremely common complaint. In fact, it is estimated that there are 190,000 migraine attacks every day in England alone, and UK-wide there are 6 million suffering with migraines. 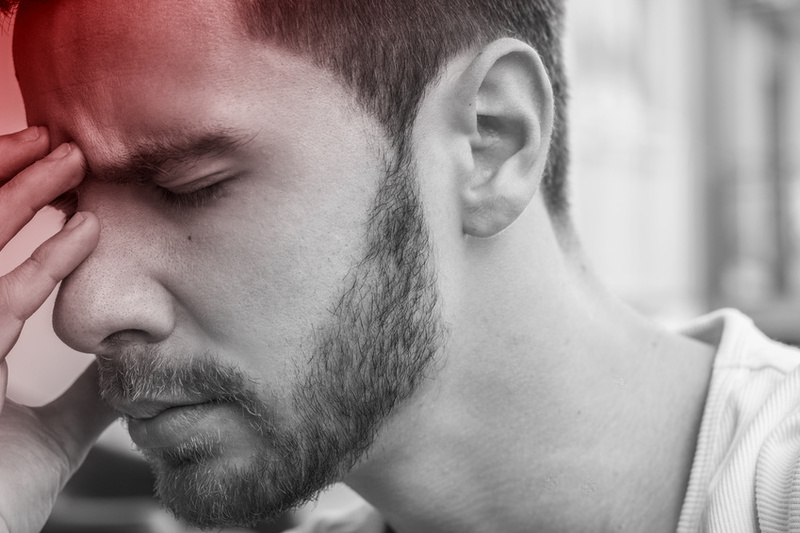 Prevalence of migraines has been reported at 5-25% of women and 2-10% of men, while it’s estimated that as many as 1 in 1,000 people live with chronic migraines. Now, however, recent research suggests that pocket-sized magnets could be used to provide fast relief from migraine symptoms. 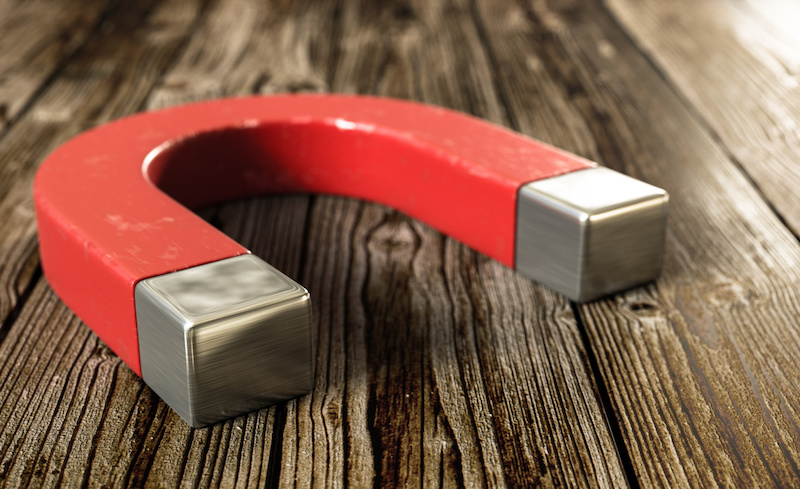 Magnets have been used in the treatment of migraines for decades, but these smaller sized versions could make the treatment more accessible. The trail of this new magnet treatment was completed by Guy’s and St Thomas’ NHS Foundation Trust. It involved the use of treatment known as single pulse Transcranial Magnetic Stimulation (sTMS), which has previously only been available in hospitals, and transferring it into a portable device. The subject of the research was Barrington Simner, 72, from Bromley in south-east London, who suffered from migraines for more than 20 years. Simner received sTMS in the form of a portable device placed on the back of the head for a few seconds, pressing a button to deliver a painful magnetic pulse into the brain. This works by stimulating cells in the outer surface of the brain, reducing the severity and frequency of migraines. It can be used up to eight times a day. “I started getting migraines when I turned 50 and over time they got progressively worse. At one point I was getting a migraine twice a week. They were completely debilitating […] I tried lots of different powerful painkillers, but the side-effects made me drowsy. sTMS is the only treatment that has worked for me. Currently, Guy’s and St Thomas’ headache centre is the only NHS centre in the UK to offer this treatment. Migraines are the third most common disease in the world, with an estimated global impact of 14.7%, which works out at around one in seven people. Despite this, the true cause of migraines has not yet been determined, and research into migraines is the least publicly funded of all neurological illnesses relative to its economic impact. With this in mind, it’s important to look at the research from Guy’s and St Thomas’ with a critical eye. While the results of the research into portable sTMS is promising, the experience of having a migraine is different for every sufferer, as is the treatment which works best. For many, taking steps to prevent triggers is the best solution. Why Do Women Suffer From Migraines So Much More Than Men? Research shows that women are much more frequent victims of migraines than men. But why could this be? Migraines are a well-established and common condition affecting men, women and children alike. One in seven adults experience migraines globally. However, the distribution of attacks is far from equal. In fact, figures from the Migraine Research Foundation suggest that as many as 85% of all migraine attacks are experienced by women. Anyone who doesn’t experience migraines would be forgiven for assuming that they are simply intense headaches. However, the reality is much more serious. Alongside a throbbing headache, many sufferers experience nausea, vomiting, dizziness, visual disturbances, light, noise and scent sensitivity and, for some, even temporary muscle weakness on one side of the body. Migraines can last for hours at a time, or even days. And that’s not all. Around one in four migraine sufferers also experience a collection of sensory disruptions called an ‘aura’, including blind spots, tingling, numbness and light flashes. Research from the American Journal of Medicine also found that migraine auras can increase the risk of ischemic stroke in women under 50. However, the reason so many women experience migraines compared to men remains largely a mystery. Director in the Office of Research on Women’s at the National Institutes of Health (NIH), Janine Clayton, comments: “We don’t have the answer for why migraines are more common in women than men, but women are more susceptible to every pain condition than men. Migraines tend to be worst for young women, and improve with age, meaning that many women experience regular severe migraines during the period of life when they should be most productive. Symptoms like light and sound sensitivity can make it difficult to work and complete daily activities. Professor of Neurology & Anaesthesiology and Director of the Centre of Headache and Pain Medicine at Mount Sinai’s Icahn School of Medicine, Mark Green, is just one of many experts who believes that fluctuating female hormones could be a major influence on migraine attacks. Green theorises that the drop in oestrogen levels which occurs during a women’s period could be a major trigger of migraines, commenting: “Around period and ovulation, and just after a delivery, levels drop precipitously, which can be a problem. Theories like Green’s are supported by the fact that, in childhood, boys experience more migraines than girls before puberty. From puberty to the menopause, migraines are far more common in women. What’s more, most migraine attacks in women tend to occur several days before or after menstruation. While it may not be entirely clear why women are more susceptible to migraines than men, we do know that effective migraine relief medication is available from Express Pharmacy. Call 0208 123 07 03 or use our discreet live chat service to speak to a member of our team today. I think it has a lot to do with hormonal changes we women go through. Monthly (when were younger) it has to do with our monthly menstruation. When we get older, its menopause. Then our pituitary, triggered monthly regarding ovulation. I really don't know for sure though, just think this might be some of the reasons. Migraine Awareness Week 2018 begins on 2nd September. This is a chance for people to educate themselves on this common affliction, including how to spot the signs of a migraine and how to prevent and treat a migraine effectively. To help boost your knowledge surrounding migraines, here are ten facts you may not know. Around three quarters of people who suffer from migraines are women. This could be to do with the cyclical nature of female hormones. One study also found that levels of NHE1 (a protein which regulates the transfer of protons and sodium ions) fluctuate a lot more in women, and NHE1 is a key component of migraine headaches. Migraines are hugely common, affecting 6 million people in the UK and 14.7% of the world’s population. This equates to around one in every seven people, or one billion sufferers. Chronic migraines are less common, affecting around 2% of people globally. This is when sufferers experience at least 15 headaches per month over a three-month period, with more than half being migraines. It’s not just adults who have to suffer with migraines – around 10% of children experience the condition. In fact, children as young as 18 months old have been known to experience a migraine attack. However, children can also grow out of their migraines. One study found that migraine symptoms had disappeared completely in 23% of child sufferers by the age of 25. Less than 25% of migraine sufferers experience distorted senses, but those that do can use them as a warning sign that a migraine attack is on the way. This usually involves blotches of light and dark disrupting their vision between 10 and 30 minutes before an attack. Migraines can be caused by wildly different factors for different patients, making it difficult for doctors to treat them effectively. Common causes include stress, sleep deprivation, alcohol, dehydration and caffeine, though spicy foods, cheese and even weather conditions have all been known to result in a migraine attack. A retinal migraine is a kind of migraine limited to one eye, and can lead to symptoms such as starry vision, partial blackness or complete loss of vision. It is almost always the same eye which is affected, and sight usually returns after 10 to 20 minutes. A hemiplegic migraine is a rare and scary form of the condition which can result in weakness, numbness, tingling or complete loss of function in parts of one half of the body, including an arm, leg or face. This can last anywhere from one hour to several days! Migraines can run in the family. Between 80 and 90% of migraine sufferers report having at least one family member who also lives with the condition. What’s more, one study found that if both parents experience migraines, their child’s risk of acquiring the condition increases by 75%. In Carroll’s iconic story, Alice drinks a beverage which makes her grow and eats food which makes her shrink. This is reflective of two potential migraine symptoms: micropsia and macropsia. One popular theory is that Carroll suffered with migraines and turned his experiences into a story. Nowadays, related symptoms are even known as Alice in Wonderland Syndrome. Many people see their migraines as something they simply have to live with, but this isn’t the case. Safe and effective migraine treatment is available from Express Pharmacy, including Imigran and its unbranded equivalent Sumatriptan. Sumatriptan has been rated 10/10 in independent customer reviews. Click here to explore the migraine relief medication available from Express Pharmacy, You can also get in touch by calling 0208 123 07 03 or using our discreet live chat service. From Lazy Days to Holidays: Can These Things Really Cause Migraines? Nobody wants to suffer from migraines, but unfortunately they are a regular occurrence for almost 6 million people in the UK. So if you are one of the many people dealing with this condition, here are some of the things you may not realise could be triggering your migraine attacks. Director of the John Hopkins Headache Centre in the US, Dr Nauman Tariq, says that sudden fluctuations in the weather and barometric pressure can sometimes trigger migraines. These are factors which are closely associated with flying abroad, especially to a significantly warmer country. So if you’re planning your summer holiday, make sure you prepare to stop migraines before they hit by staying cool and hydrated when flying. The smartphone has become a staple asset to pretty much all of us in our daily lives, and while this generally makes things more convenient, it is also having a negative impact on our health. Using our smartphones before bed has been shown in multiple studies to reduce our sleep quality, making migraines more likely. The blue light emitted by the screen on many popular devices, including smartphones, can also act as an irritant for migraine sufferers. Stress relief measures like meditation, yoga and an overall healthy lifestyle can help you avoid these fluctuating levels of anxiety. Visual patterns like the block patterns you see on some floors stimulate the occipital cortex in the brain, according to Dr David Dodick of the American Migraine Foundation. This cortex is already hyper-excitable in people who suffer from regular migraines, making these patterns a common trigger when present on rugs, bedsheets and other household décor. Sleep apnoea is a common condition that affects around 5% of the UK population. It occurs when the upper airway is blocked during sleep, causing you to stop breathing for periods of time. Because of the decrease in oxygen concentration which sleep apnoea causes, it has also been shown to lead to migraines. Luckily, the condition is treatable. Food-related migraine triggers often differ greatly between sufferers, but there are some foods which are widely associated with migraines, such as red wine and processed meats. Aged cheeses and fermented food like kimchi or pickles can also lead to migraines, and research has found a link between migraines and artificial sweeteners found in things like diet fizzy drinks. If you’re planning your summer holiday, you may be considering a break in sunny California. Well if you are, beware! The “Umbellularia californica” [‘California Laurel’] is a tree that’s only found in the coastal woodlands of California, and has a substance in its leaves (umbellulone) which activates a receptor on pain nerve endings that trigger migraines. That’s right, this tree can cause migraines simply by touching it, so admire with your eyes only. Effective migraine medication is available from Express Pharmacy. Contact the team today for help and advice by calling 0208 123 07 03 or using our discreet online Live Chat service. There’s a big difference between a migraine and a run-of-the-mill headache, as anyone who has ever experienced a migraine will know. Migraines are painful, throbbing attacks in the head which cause the UK population to lose 25 million days of work or school each year. It is the single most common neurological condition in the world, affecting around one in every seven people, but for many people migraines are far more common in winter months. So now that the end of winter is finally in sight, it’s important to stay as safe and healthy as possible in these last few weeks before spring makes its welcome return. Let’s take a closer look at why exactly your migraine attacks are worse in winter, and what you can do to reduce your risk of experiencing migraines over the next few weeks. Why are migraines worse in winter? Sudden changes from warm to cold temperatures, or cold to warm, are known to cause head pain as your body tries to adjust to your new climate quickly. This is relevant at the start of winter when the weather first begins to get colder, but is also a significant factor throughout the season and at the end when spring approaches. 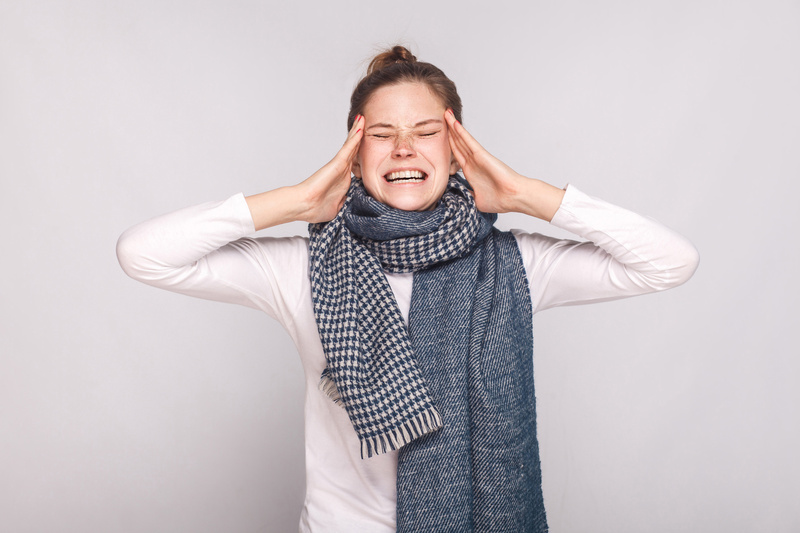 Winter fluctuations in temperature tend to be more dramatic than those in summer, as some people find that simply moving from a cold street to a warm house (or vice versa) is enough to bring on a migraine. Keeping a regular temperature in your home, and wrapping up outside, will help regulate your own temperature too. This means making sure your insulation is up to scratch, using draught excluders, and wearing a scarf, gloves and — in particular — a hat when you go outside. Dehydration is a common migraine trigger, and unfortunately you’re more likely to be dehydrated in the winter than in the summer. Not only do we tend to drink less water in the winter in favour of tea and coffee, we also have to deal with winds, indoor heaters and fluctuations in barometric pressure which can all create dry air conditions. Simply staying hydrated by drinking plenty of fluids is the best way to avoid dehydrating migraine attacks. You can also avoid excess alcohol intake and introduce more hydrating fruits and vegetables into your diets, like red peppers and watermelon. With winter comes shorter days, which we’re still dealing with as we watch the sun set before 5pm every day. This forces us to rely more heavily on artificial lights, even during the day when the weather is grey and dull. 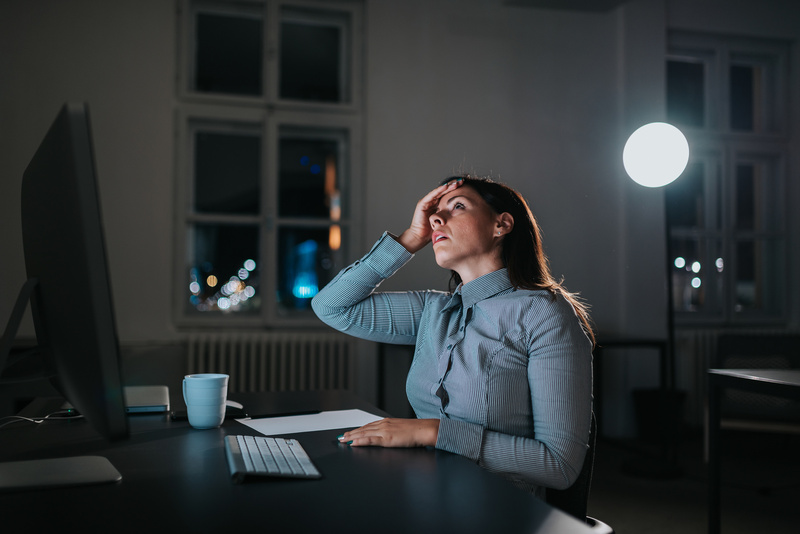 Long hours of harsh, bright lights are another common migraine trigger, which is why it is often advised that you lie down in a cool dark room when a migraine does strike. Where possible, you should opt for softer lighting options and avoid staring at screens like your laptop or smartphone for long periods of time. This is particularly important in the hour before you go to bed, as exposure to bright lights can make it more difficult to fall asleep. When it’s cold and dark outside, we’re less likely to feel the urge to leave the house, whether it’s for a morning gym session or a Sunday walk with the family. The result of this is more time spent sitting in front of the television. Research shows that regular exercise can help reduce migraine symptoms, with one study stating that exercising for 40 minutes three times a week can reduce migraine attacks by 25%. Even vigorous housework can get your heart rate rising enough to improve your physical fitness. If you suffer from regular migraines and are looking for fast, effective relief, Express Pharmacy offers prescription migraine medication that can be ordered online. We even offer next day delivery options on orders placed before 12pm.